Variation Accepted: Operating between Plymouth, Royal Parade and Plymouth, Royal Parade given service number 46 effective from 03-Apr-2011. To amend Route and Timetable. Variation Accepted: Operating between PLYMOUTH Royal Parade and DERRIFORD Hospital given service number 47/147/247/47A/47B effective from 03-Apr-2011. To amend Route and Timetable. Cancellation Accepted: Operating between ROYAL PARADE, PLYMOUTH and DEVONPORT given service number 45 effective from 03-Apr-2011. Variation Accepted: Operating between Plymouth, Royal Parade and St Marys Bridge given service number 20 effective from 03-Apr-2011. To amend Route and Timetable. Citybus really do seem to be having problems with the 46/47 routes as these have changed more than any other routes over the past year or so. 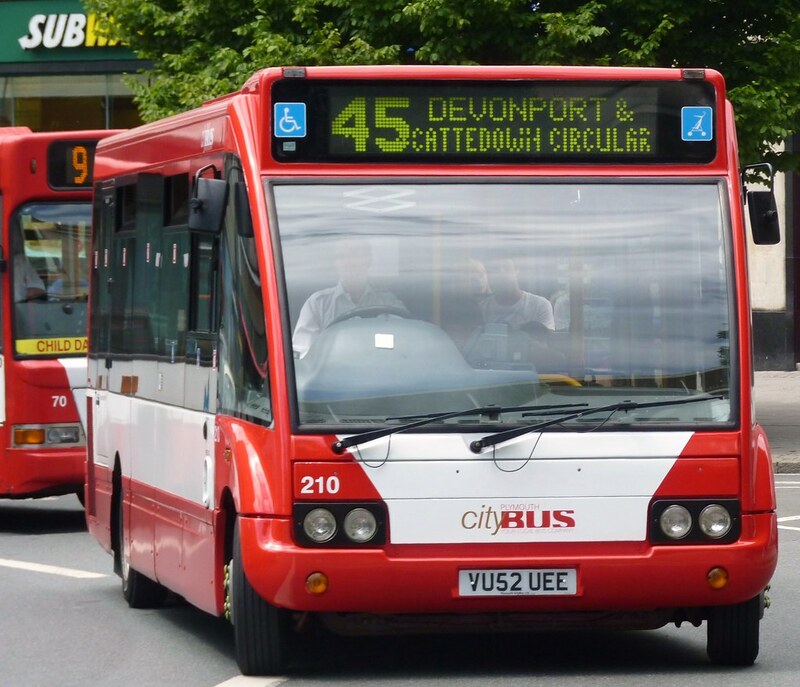 I am a bit puzzled about the 45 as the service is down on VOSA as between City Centre and Devonport but it was this section of the route which was cut back in July last year so this may be a tidying up on VOSA or it is the Cattedown section of the route which is now going. The current service 20 was set up from 6th June last year as part of the recasting of the Plympton network which seemed very unpopular at the time. The last change being the loss of early morning and evening runs on Sundays. My mother lives in Lower Compton and used the 46/47 to get to/from town today. The drivers on both buses said that the Lower Compton and Austin Farm sections are coming off. How would it get from Leigham to Mutley/City without gpoing thro Austin Farm or Compton ??? I imagine for Austin Farm read Deer Park. It's not "Compton", they said "Lower Compton", so Higher Compton and Henders Corner or Efford Lane might be possibilities. Keep your eyes peeled for the new livery. Dart 67 has been repainted!